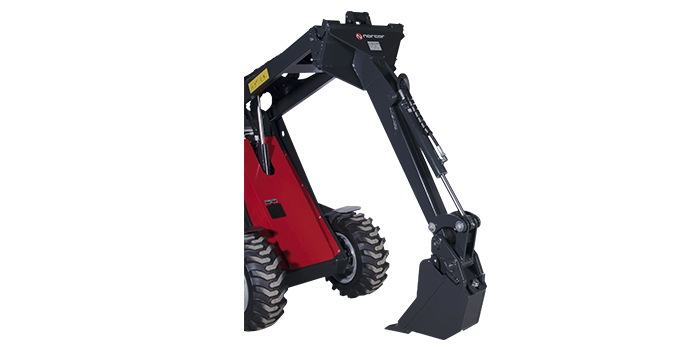 Effective and economical solution for smaller excavating jobs. The mini digger is mounted straight on the attachment plate on the loader. It is light and easy to transport. Norcar Multi Faster as standard.